Consumers who wish to donate can do so simply by logging on to www.knex.com and purchasing any K’NEX item. 10% of the net proceeds from every completed sale made during the period of October 1, 2014 through December 31, 2014 will be donated directly to Autism Speaks. 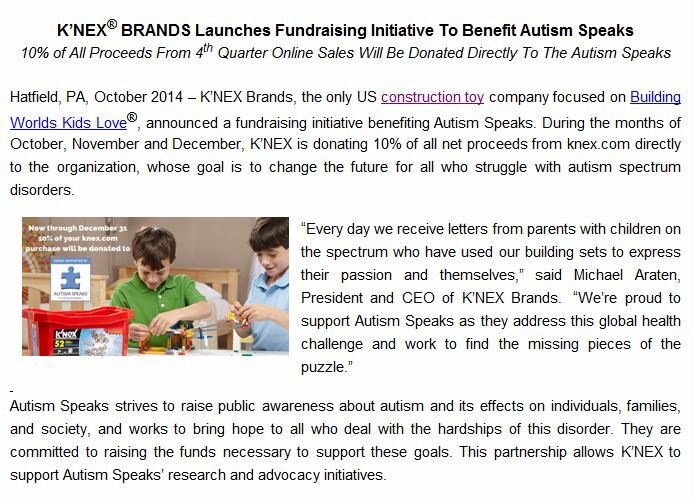 Donations can also be made directly to Autism Speaks without the purchase of a product at http://bit.ly/as-knex.